As mentioned in my introductory post, I am interested in how educational institutions may create spaces and opportunities to honour the spirituality of individuals and communities. Therefore, I am interested in researching how Indigenous people incorporate spirituality into their own educational programs. 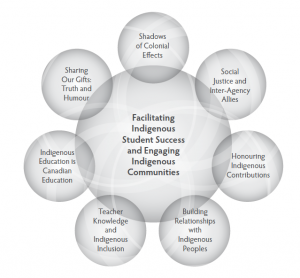 This literature review discusses Indigenous knowledge and recommends an educational framework and steps to improve the educational outcomes of First Nations peoples. It admits that in calling itself a ‘literature review’ it is a attempt to describe Indigenous knowledge through a Eurocentric lens. However one must start somewhere, so this is a review of the existing literature on Indigenous knowledge and pedagogy which the author hopes will, in turn, inform educational reform. The Medicine Wheel is a symbol used by many Indigenous cultures to represent the importance of the interrelatedness of all things. In this article, Bell explains how the Medicine Wheel may be used as a guide along an educational journey. In fact, she describes how honouring the gifts of each of the four directions may lead us to different learning processes as we move from standard linear models to the spiraling concepts of (a) awareness (East) with the call to envision or ‘seeing it’, (b) understanding (South) with the call for interrelationship over time or to ‘relating to it’, (c) knowledge (West) with the call to reason or to ‘figuring it out’, and finally, (d) wisdom (North) with the call for movement or to ‘doing it’. Bell then goes on to describe how this pedagogy has been used in practice. This is a book review of “The Knowledge Seeker: Embracing Indigenous Spirituality” by Blair Stonechild. The review is helpful because Brandhagen describes its ties to education, specifically to the history of Stonechild’s experience and challenges faced in a post-secondary education environment. 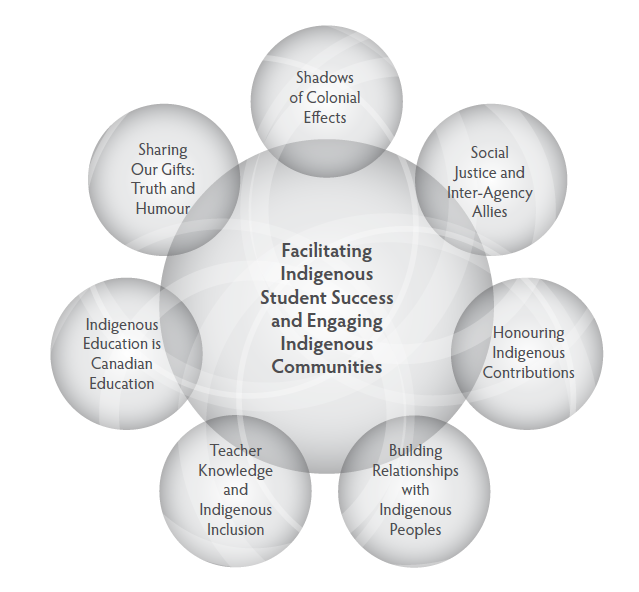 It also describes the ‘sacred activity’ of learning and how “creating a new First Nations education system was one of the ways to bring focus back to honouring First Nations culture, community, language, and spirituality after the residential schools had existed for generations for the sole purpose of destroying those very relationships” (Brandhagen, 2017, para. 4). The description of learning as a sacred activity is an important one, as it speaks to the impact of education on individuals and communities. Although written by a Canadian from a Canadian-Indigenous perspective, Stonechild has researched the spirituality of Indigenous cultures from around the world, giving it a relevance beyond our borders. This is a brief announcement from the Faculty of Education at the University of Manitoba, indicating that they would be co-hosting the Aboriginal Education Research Forum and the Canadian Symposium on Indigenous Teacher Education. It took place April 24th and 25th, 2017. Of interest to me is that this year’s theme was Embedding Spiritual and Sustainable Wisdom in Education and Research as and Act of Reconciliation. The hope is that by honouring “the need to value Indigenous knowledge traditions…will ultimately positively impact educational outcomes” (McDougall, 2017, para. 3). It is my belief that by respecting students as whole beings with spiritual needs and perspectives will support them in achieving their educational goals. This is the follow-up story to the above announcement. It describes how the keynote speaker’s (Dr. Chantal Fiola’s) spiritual journey not only shaped her identity but also informed her research and teaching practice. She makes the astute comment, “Many people think that spirituality is important to education. It’s just that for several generations, it was a particular kind of religion that was taught” (McDougall, 2017, April 26, para. 4). This not only refers to the sad history of Canada’s residential school system but can also be said to refer to all parochial schools and colleges with religious affiliations. Therefore, the connection between religion and spirituality is not new, it is just now being allowed to be revived in certain communities. So she asks, “What actions are we taking in our classrooms, and in our school systems to make space for different spiritualties?” (McDougall,2017, April 26, para. 6). It is a good and relevant question. 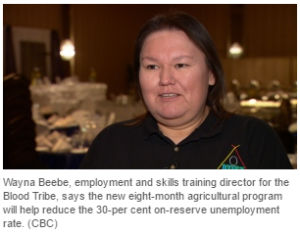 Stonechild has seen the full spectrum of aboriginal education in Canada, from being a residential school survivor to helping develop a First Nation-controlled post-secondary institution. In this article, he summaries his view on the importance of spirituality in education. He explains that aboriginal spirituality is about establishing a health relationship with all things, especially with one’s family, nation, and Nature itself. On this physical journey, learning is a sacred mission. Those who have lost touch with their spiritual roots may forget the importance of maintaining healthy interrelationships and so turn to substance abuse, crime and gang activities. Therefore, researching, writing and teaching about the principles of Aboriginal spirituality is very important at this time.